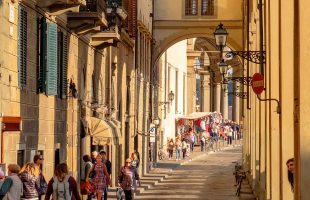 The Florence centre lies in the very heart of the city, just steps away from the Ponte Vecchio, a five minute walk from the Duomo and Piazza della Signoria, and a ten minute walk from the railway station, Santa Maria Novella. 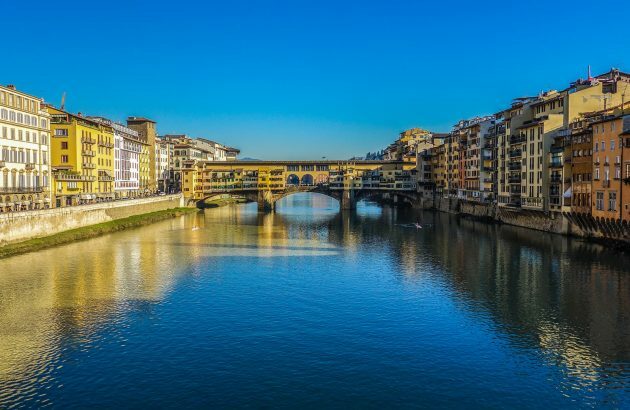 Florence is significant not only for its revolutionary contribution to the arts, but also as one of the birthplaces of the modern western trade system as a historic centre of trade, finance, and banking. 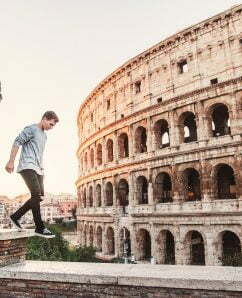 As the birthplace of the Italian Renaissance, people have for centuries travelled from all over the world to celebrate Florentine art and culture. The ESE student services office in Florence is pleased to assist arriving students in finding appropriate accommodation through our networking system with other students and local real estate agents. Students are encouraged to contact a student counselor at their centre of interest for assistance with the admissions, enrollment, and arrival process. 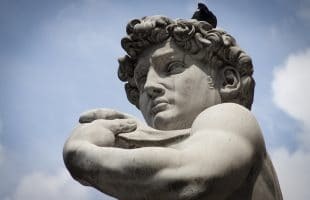 Florence has a wonderfully blessed climate and a hidden chest of artefacts – Michelangelo’s sculpture David for one never failing to impress. It is the wellspring of the art of opera and the Renaissance patronage and resides in the constant glow of a prosperous past. 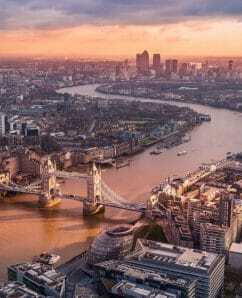 The city breeds beauty, harmonises nature, and favours exclusivity, scoring highly among an endless stream of holidaymakers and intrigued visitors. 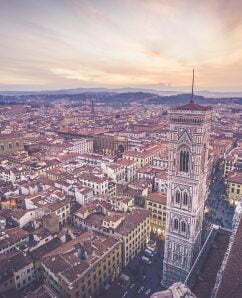 On the top of anyone’s itinerary must be the cathedral of Santa Maria del Fiore. Otherwise known as Duomo di Firenze, this commanding structure occupies the centre of a historic UNESCO World Heritage site and reverberates with the Florentines. Climbing some 500 steps to the Cupola, built in 1436, is physically challenging but grants you access to a fabulous spot. Giotto’s belltower, lying adjacent to the Duomo, also rises to a winding height. Talking of churches, Santa Croce has a reputation for commemorative monuments. There, tombs of Michelangelo, Galileo, Dante, and others accompany elaborate artistic fixtures and exude pride in excellence. Heat strokes can occur but are not as notorious as the Stendhal syndrome. The symptom is described as feeling otherworldly. A condition induced by the glossy arsenal of art and culture dotting Florence. Listing some of the 80 museums and galleries responsible is the easy bit. The repository of fine art, Galleria degli Uffizi, has Renaissance treasures and queues rivalling celebrity appearances. The tradition of preserving the old is continued at the Accademia Gallery and Bargello. The Pitti Palace is the former residence of the Medici family who wielded considerable political clout and sponsored artisan families. 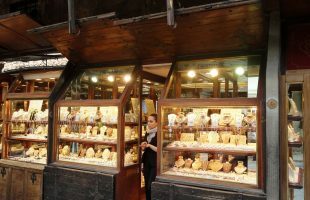 Jewellers of that time and high-end retailers like Gucci and Armani are doing business on the bridge Ponte Vecchio which does more than linking two ends of the river Arno. 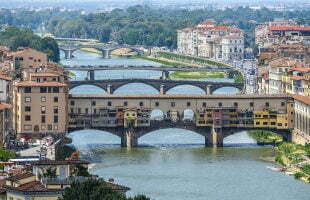 The bridge has survived World War II, the flooding of Arno, and is a beacon of its architectural heritage. 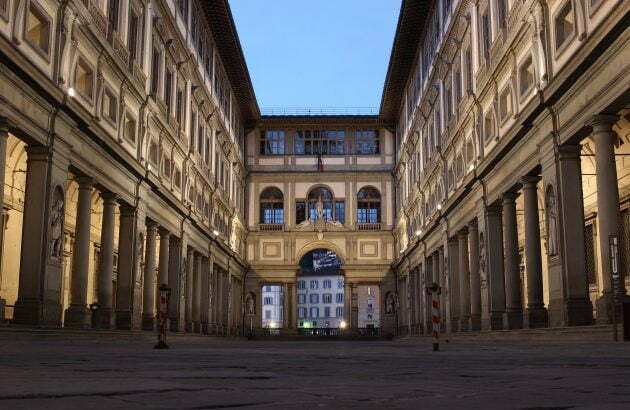 Lastly, the seat of power, Palazzo della Signoria can open up Vasari’s frescoes and Cellini’s Perseus. 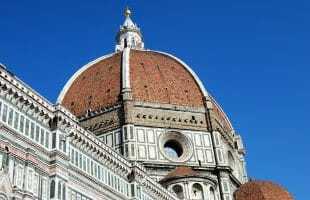 Taking a stroll with visually attractive landmarks and bursting crowds is ideal in Florence. Non-resident driving is strictly controlled in the centre, sizable plazas with cafes can be used for people-watching or pigeon-feeding, and walkways stretch out in a range of directions. Boboli Gardens behind the Pitti Palace and the hilltop Piazzale Michelangelo are tried and tested favourites. Florence students can enrich their studies with the opportunities made available by this dynamic, historical, and international environment. 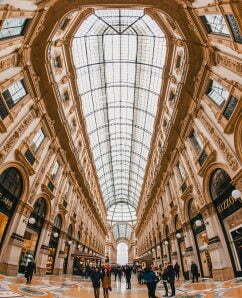 The ESE centre lies in the 16th century Renaissance Palazzo Roselli Del Turco in the very centre of the city. The ESE Florence centre is fully equipped with a student study area, computer lab, library, and wireless internet access. ESE classes typically include students from throughout European, as well as from Asia, South America and the United States. Young people from all corners of the globe converge here to learn, to socialise, and exchange ideas in an environment that promotes individual growth. At the same time, forming a complete and successful individual is the principal and ultimate objective of every ESE programme. The cultural and educational opportunities made available to students by this city are enumerable, including destinations such as the famous Uffizi Gallery, Ponte Vecchio, and Duomo Cathedal, not to mention the limitless social and cultural activities open to students through the city’s theatres, events and fairs, nightclubs, and art galleries. The Borgherini were among the most active supporters of the arts in the first half of the 16th century in Florence. The palazzo was commissioned by Pier Francesco Borgherini to Baccio d’Agnolo – one of the most famous architects of the period – in around 1517. Its windows and doors are decorated with a course of typical ‘bugnato’ (Florentine ashlar) and elegant wrought iron – used to hold torches and banners – that emerge on bare plaster which is then divided into the two top floors. The spacious entry hall leads to an irregularly shaped atrium which owes its form to the fact that it shares a wall with the church of Santi Apostoli. There is in fact a private access to the church from inside the palazzo. The vaults of the atrium ceiling end in fine corbels decorated with two bands of acanthus leaves, while the ceiling of the stairs is made of planks of stone – a rarity in Florentine palazzos. The room mentioned above was commissioned by Salvi Borgherini, who had a bridal chamber built in honor of the marriage of his son Pier Francesco and Margherita Acciaiuoli. Baccio d’Agnolo oversaw the creation of the wooden decoration of the room which included painted panels which were embedded into the architectural design. Baccio acted as an intermediary between the patron and the most important painters of the time – Andrea del Sarto, Pontormo, Bachiacca and Granacci – who were asked to decorate these panels with the story of Joseph the Jew; probably alluding to the young couple or the patron, a local personality. The fame and the beauty of this room were such that as early as 1584, some panels had already been sold by the order of Francesco I de’ Medici, who desired the panels by Andrea del Sarto and Granacci for his own collection. Today, the panels are scattered across various European museums, including the Uffizi . For the stone detailing of the palazzo, Baccio d’Agnolo collaborated with Benedetto da Rovezzano. Of particular note is the fine fireplace which da Rovezzano created for one of the rooms of the palazzo and which can now be seen in the Bargello museum. The Borgherini family lived in the palazzo until the mid-18th century, when the family was implicated in a scandal involving shortages from the Granai dell’Abbondanza granary. The family’s holdings and properties were confiscated by the Lorraine State and sold at judicial auction. It was during this auction that the Rosselli del Turco family acquired the property which has been in their possession ever since. 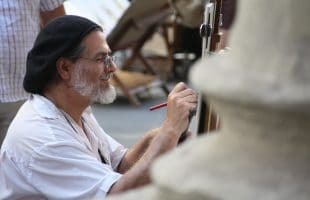 The Rosselli family was known for having birthed many famous painters, such as Cosimo and Matteo Rosselli and the antiquities scholar, Stefano Rosselli (1598-1664), author of manuscripts on the works of art found in Florentine churches of the 17th century. Today the building hosts ESE Florence, while the garden is house of ESE’s partner Aria Art Gallery.